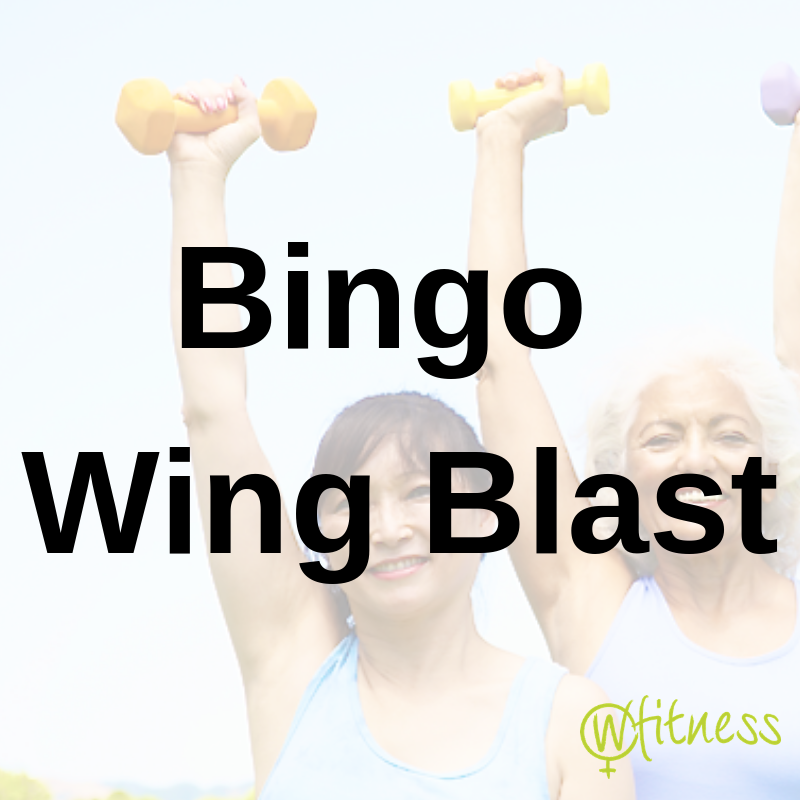 Bingo wings are the flabby bits of skin under the arms. As the nights get lighter and the weather gets warmer you start to think of summer and holidays and panic sets in when you think about wearing sleeveless tops and bikinis! 9 out of 10 women say that they’re unhappy with their arms, with many saying that they’re unhappier with their arms than any other part of their body! Try waving to yourself in a mirror! Don’t panic! The good thing is that you can improve the appearance of them by eating a healthy diet, reducing your body fat and sticking to a simple exercise routine. It doesn’t take a lot of time, just 10 minutes a day on this area and you will see a vast improvement. The important thing is to do the exercise and do it every day! Both diet and exercise are important in how you look. We need to eat healthily and exercise to maintain a healthy body, promote good sleep and to have energy! As far as your diet is concerned, try to eat unprocessed food. Eat lots of lean meat and fish and try to eat at least 5 portions of fruit and veg, with the majority being veg and drink lots of water. Drinking water is fantastic at helping with fat loss so make sure that you are drinking at least 2 litres a day. We cannot tell the difference between thirst and hunger and often, we eat when we are in fact thirsty! You will soon be able to see a difference as your body and skin will look and feel so much better. In order to reduce body fat, as well as exercising, you need to be burning more calories than you’re consuming. If you’re doing this, your body fat will reduce which in turn will help to lose fat from your arms. Try to do the following exercises for at least 8 weeks and you will notice a difference. Elevated Biceps Curl – Stand with a small weight in each hand and arms straight out to the side so that palms are facing the ceiling. Curl your arms in towards your head so that your hands are directly over your elbows. Overhead Triceps Extension – Hold one small weight in both hands and bring hands up and behind your head. Raise the weight until your arms are straight and then bend elbows to lower back down. Be careful not to arch your back. Triceps Dip – Use a chair for this exercise. Stand in front of the chair, with your hands on the edge of the seat facing forwards. Your feet need to be hip-width apart and your ankles need to be right below or further out in front of the knees (this is harder!). Dip your body up and down, keeping your elbows going straight back in line with your shoulders. Push-up on knees – Lie on your stomach, place your hands under your shoulders and bend at the knees to bring your feet off the floor. Keeping your core engaged and your back straight, push yourself up, balancing on your hands and knees, then slowly lower your chest to the floor. Lying Triceps Extension – Lie on your back with your legs straight. Keep your upper back pressed into the floor and your shoulder blades down. Hold a weight in both hands and bring your hands together straight above your chest. Bend your arms and bring the hands towards your head and extend arms back up. Side Plank Triceps Extension – This will also strengthen your core, trim your waist and improve your balance. Start in a side plank on your forearm. With a weight in your top hand, raise your arm straight up towards the ceiling with your palm facing forward. Bend your elbow and bring your hand towards your head, then straighten your arm. Triangle push-up – Start in a push-up position (on your knees if you need to) with your hands turned in towards each other and your forefingers and thumbs touching (forming the shape of a triangle). Make sure that your chest is directly above your hands and push up and lower down slowly.